One of the best species in cultivation. 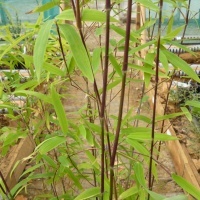 A lovely clump forming but tame bamboo with canes up to 4 metres. It has delightful purple flushed stems, and delicate thin leaves and is easy to grow, preferring a little light shade. Makes a neat tidy tuft of bluey green grass- very effective in a mixed border. Intense silver blue foliage, forming low neat mounds. Easy to grow in most soil types, prefers sun. 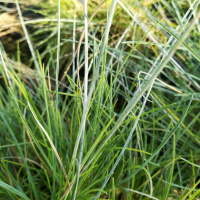 Also known as Festuca Blauglut.